A couple of months ago, we had the pleasure of reviewing Motorola’s new (at the time) S11-FLEX HD bluetooth headphones. Overall, we really enjoyed them, especially for long runs or during rigorous workouts. But what about the version that’s still tailored to HD audio, yet has a more subtle non-workout appearance for other occasions like say, school? With school right around the corner for many, we’re giving away a pair of their non-FLEX brother, the S-11 HD wireless headphones, thanks to our friends at AT&T. Whether it’s walking to school, riding on the bus or killing time in between classes, students use headphones for an average of 1.5 hours a day. These wireless Bluetooth headphones provide better-than-wired HD sound and won’t get tangled in pockets and backpacks. They are featherweight yet durable, adjustable to comfort, and are sweat-proof for a secure fit. 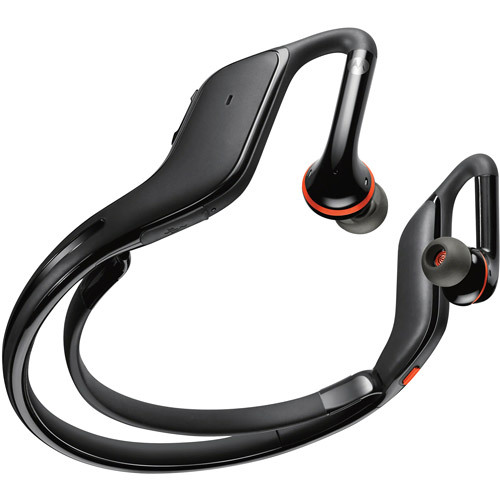 Additional features include dual noise-cancellation microphones and voice commands, along with a sleek black and orange color scheme. You can buy the S-11 HD headphones from AT&T for $99. Prize: 1 (one) pair of Motorola S-11 HD headphones. We will randomly choose our winner tomorrow afternoon at 3PM Pacific.